A thick soup perfect for the cold winter days! Heat butter and olive oil together in a medium pot over medium-low heat. When butter has melted, add sliced fennel, thyme, garlic, shallots, and 1 cup of the stock. Cover and simmer gently until fennel is soft and translucent, about 15 minutes. Increase heat to medium, add potatoes and remaining 3 cups stock, and bring to a boil. Reduce heat to medium-low and simmer gently until potatoes are very soft and cooked for about 25 minutes. Season soup to taste with lemon juice, salt, and pepper. Gently mash the vegetables with a potato masher or the back of a wooden spoon until the soup is thick and chunky (but not puréed), adding a little additional stock if it becomes too thick. Remove soup from heat and set aside for 5 minutes to allow flavors to develop. 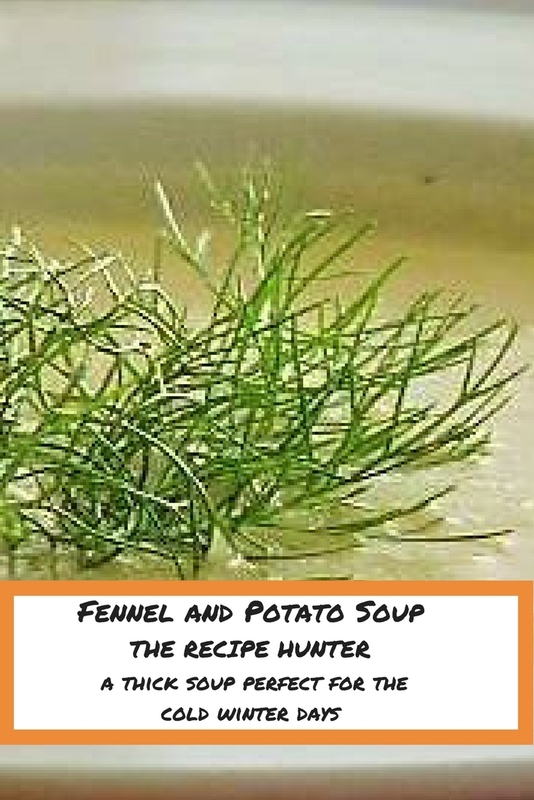 Ladle soup into four bowls and serve warm, garnish with fennel fronds. Jennifer really seems to enjoy her fennel! This is the second soup you’ve featured with that ingredient! A woman after my own heart! Lol!